CHA Jaipur is Best Hotel Management College in Jaipur. It aims to bridge the huge gap between demand and supply of personnel in Hospitality sector-around 40 lakh job vacancies in this field still needed to be filled. College is affiliated to Rajasthan Govt. Skill University and Tourism & Hospitality Skill Council. It has an infrastructure of international standard where there is a strong emphasis on practical exposure, and the teaching patterns are through audio-visual methodology, wi-fi campus having 2 unique Restaurants, 2 Kitchens (i.e. Basic Training and Quantity Food Kitchen), Housekeeping Lab, Front Office Lab, Coffee Corner, a well equipped Library, Board Room & Presentation hall, Recreation facility (Indoor & Outdoor games) and an In-House gymnasium. The college aims to provide 100% placements through various training tie-ups. The Institute is contributing to the creation of knowledge and offer quality program to equip students with skills to face the global market concerted effort by dedicated faculties, providing best learning environment in fulfilling the ambition to become a leading Institute in India. The institute trains students in Hospitality & Hotel Management, Front-Office Training, Food Production, Restaurant Training, Bakery Chef, House Keeping, Food and Beverages courses. It is a need for an hour . 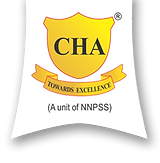 Where institutes are still teaching 10-15 years old curriculum CHA has changed the concept of Hotel Management by introducing an innovative courses ( GOOD TO GREAT ) module which makes our student ready to perform in the industry from day one they are on the job. Seeing is believing which gives you 100% learning experience,we teach our student's virtually. 70% of the course is taught practically as we have best of the infrastructure as standard of a star category hotel. We believe in exposing our student's to maximum practicals thus we do 50-60 practicals in a year. Anand Yadav started his career in the cut-throat Corporate & Hospitality world with the 'Taj Group of Hotels' in 1994. He has held various positions in Hotel Industry of Gulf region i.e. Dubai, Bahrain etc, along with other countries. A Master at negotiation skills & business psychology, F&B and Hotel Operations, he has molded College of Hospitality Administration to the present position as one of the finest educational institutes in the country. He has also held the position of General Manager (Operations & Sales) in Swiss Indo Retreat and Excursions Pvt. Ltd. from 2001-2003.